Here are the most useful shortcut keys for Windows 8. For those times when you need a keyboard shortcut combination then begin with the Windows key itself. Although I have written the second key in capitals, there is no need to press the shift key to get the desired action with the second complimentary key, for example WinKey +C is all that is needed. WinKey – Toggles between the Start screen and the Windows Desktop, or the foremost running Metro-style app. If you cannot find a WinKey, then Ctrl +Esc is a good substitute. WinKey +1, WinKey +2, etc. These quick keys switches to the classic Windows desktop and launches the corresponding shortcut in the Windows taskbar. WinKey +A Problem, In the consumer version it no longer calls for the Windows 8 Search, with Apps in focus. However, just start typing and ‘Apps’ appears. WinKey +B Switches to the Windows desktop and selects the tray notification area. WinKey +C One of my most used keyboard combinations, displays the Charms with the Search, Share, Start Devices and Settings icons. WinKey +D Switches to the Windows desktop and hides/shows any other applications. WinKey +E Launches Windows Explorer with Computer view displayed. 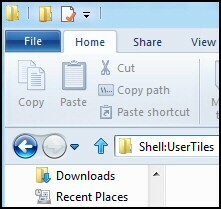 WinKey +F Brings up Search Files using the new Windows Search pane. WinKey +H Opens the Share Charm. WinKey +I Display Settings pane for the Start screen (also provides access to Networks, Volume, Screen Brightness, Notifications, Power shutdown, and Language). WinKey +J Swap foreground between the snapped and filled apps. WinKey +L Locks the PC and return to logon screen. WinKey +M Minimizes the selected Explorer window. WinKey +P Display the new Project (for "projection") pane for choosing between available displays. 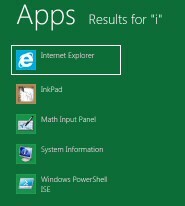 WinKey +Q Search (within) Apps using the new Windows Search pane. WinKey +R Switch to the classic Windows desktop, and then display the Run box. WinKey +W Brings up the Modern UI Settings search screen. WinKey +X Opens the Advanced user menu. Bold = New in Windows 8. WinKey +T Toggles a hidden Taskbar (Also tabs to icons in the taskbar). WinKey +W Opens the Settings search panel. WinKey +U Switch to the (classic) Windows desktop and launch the Ease of Access Center. WinKey +X Switch to the classic Windows desktop and display the Windows Mobility Center application. WinKey +Z Display the App Bar in a Metro-style app. WinKey +ARROW KEYS Aero Snap. WinKey +Spacebar Switch input language and keyboard layout. WinKey +, Temporarily peek at the desktop. WinKey +W Opens the Settings Charm. WinKey +Z Open the App Bar. WinKey + 1-9 Go to the app on the takbar. (1 is the first app on the left of the takbar). WinKey + Enter Launch Narrator. WinKey + PgUp Move the Start Screen or a Metro-style application to the monitor on the left. WinKey + PgDown Move the Start Screen or a Metro-style application to the monitor on the right. WinKey +. Move the gutter to the right (snap an application). WinKey +Shift +. Move the gutter to the left (snap an application). 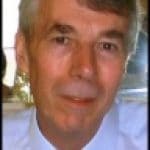 WinKey +Tab Cycles through apps. (Shift as usual reverses the order. WinKey +/ Initiate input method editor (IME) reconversion. 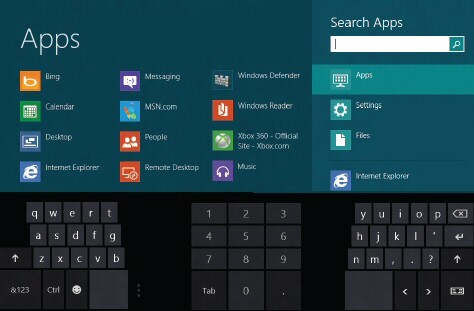 Note 1: Typing any letter without the Windows key will trigger a search of the Apps and programs. Note 2: The Function keys in Windows 8 don’t have any new features; the only function key I use is F1 for help. Alt +F4 no longer closes all Apps. Note 3: There is a Windows 8 Shortcuts app which you can download and install from the Store. Tablet computers also have the new ‘Thumbs’ keyboard in addition to the traditional layout. If you want to find one of the Apps. Assuming that you are at the Metro UI, just press a letter on your keyboard! Here is a screenshot of what happened when I tried ‘i’. (No need to launch Explorer or bring up the Charms and Search). See more on Windows 8 Search. Bring up the 5 ‘Charms’, then select ‘Settings’. Seek out the Power button, from there you can Shut down or restart the operating system. In Windows 8 the WinKey provides a springboard to handy shortcuts, not only at the classic desktop, but also to the Charms and similar settings.